These homogeniser probes have been designed specifically for use with the Stuart® range of homogenisers. The disposable probes are manufactured from robust polycarbonate, and can either be disposed of after each sample or autoclaved, up to seven times. Ideal where cross sample contamination is of concern. 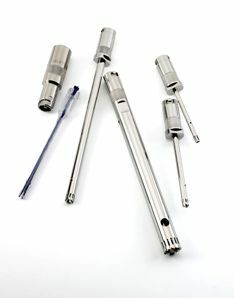 The SHM/ADAPT adapter is required to use the disposable probes with either of the Stuart homogenisers, however a free disposable probe adaptor is included with the SHM1. The stainless steel probes are available in a variety of sizes to suit your processing needs, all are precision engineered and suitable for autoclaving. The stainless steel 5mm probe comes with a flat end, all other probes have a saw tooth end and are capable of processing hard or frozen tissue. The SHM/STAND has been purpose built to hold the Stuart® homogenisers, it couples directly to the SHM2 and attaches to the SHM1 clamp holder, included with SHM1. 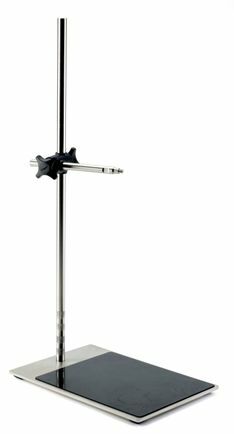 The stand is heavy duty to remain stable during use and comes with a rubber coated base to help stabilise samples during processing. Over time, and with repeated use, Teflon bearings will wear out and must be replaced. Failure to replace worn Teflon bearings will result in damage to the homogenisr probe. 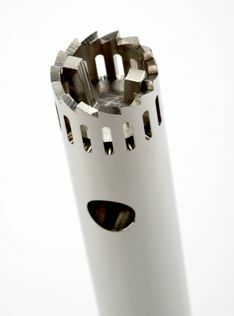 Teflon bearings should be replaced when they no longer fit snugly against the rotor shaft, or when visible wear is apparent, or if black particles become visible in the sample. Any damage incurred through failure to replace worn bearings will invalidate your homogeniser probe warranty.